Reset your alarm clocks by 24 hours, Windows 7 is launching the day before everyone expected. The big day - 22 October - was confirmed by Microsoft today, as Asia's largest computer show (Computex) got under way. Eager users can download a release candidate for Windows 7 today at www.microsoft.com/downloads, which will remain free to use until June next year. Windows 7 will available in five editions - Starter, Home Premium, Professional, Enterprise and Ultimate - with a Basic edition also sold in developing countries. Initially, Microsoft said that the Starter edition would be limited to running just three applications simultaneously (excluding background processes such as anti-virus applications, wireless and Bluetooth, and system tools like Explorer and Control Panel). 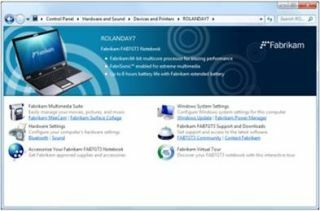 However, a Microsoft blog has now revealed that even the cheapest version of Windows 7 will be able to run as many applications as you like (or as many as the stripped-down netbooks that will be using it can handle). There's no word yet on the pricing of the new operating system, including any possible 'tech guarantees' that would give cheap or even free upgrades to Windows 7 for buyers of Vista machines in the months ahead.